Prepare for a riveting portrayal of some of the most exciting battles of ancient history as well as the tales of betrayal, lust, conquest, and brutality that often accompanied them. ANCIENT BATTLES brings to life the battle strategies, tactics, and weapons of past military leaders, from Hannibal and the Romans to Moses, the Athenians, and David. 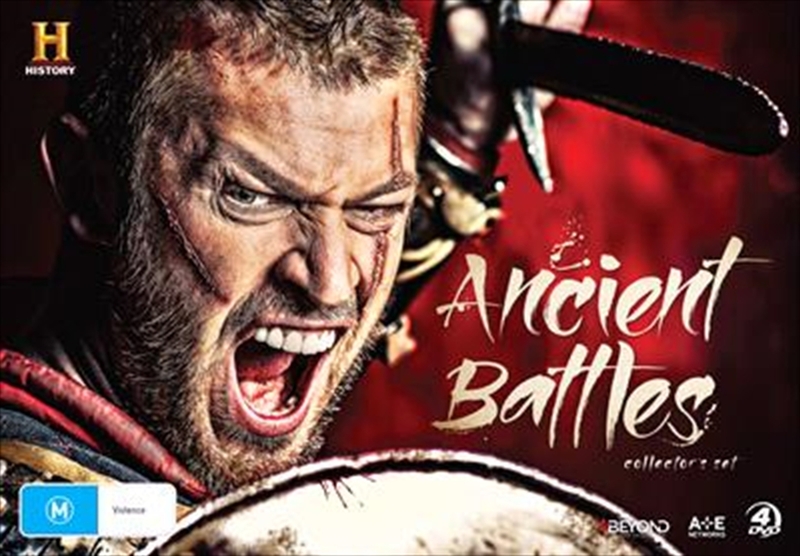 Witness recreations of the crucial battles of Rome and beyond-from Cannae to Marathon to Thermopylae - and follow some of the greatest warriors of all time, including Ramses, Spartacus and Boudicca. This is the ultimate survey of the colossal conflicts that determined the fate of the Western world.